Marvelous has released a new teaser for Fate/Extella Link on Nintendo Switch. 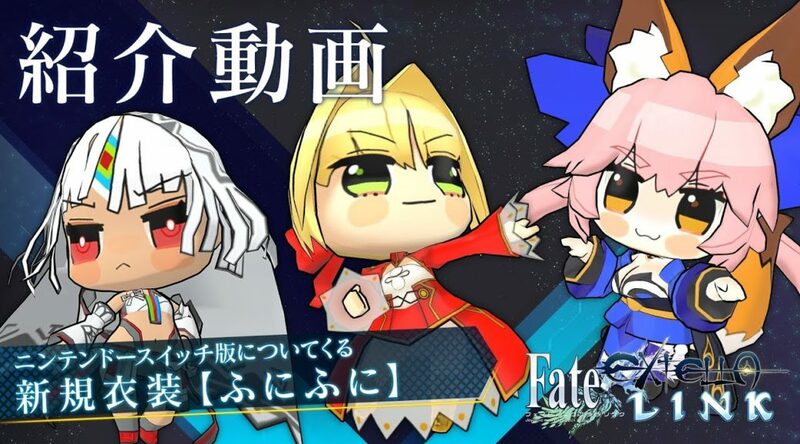 You can now get a glimpse of the game’s upcoming ‘Punipuni’ costumes – which transform Nero, Tamamo no Mae, and Altera into adorable versions of themselves. War has never quite been this cute. Fate/Extella Link will be launching for Nintendo Switch in Japan on 31 January 2019. While Marvelous has not announced a western localization, the Japanese version of the game will come with English language support.